Free Motion Quilting Project is Finished! I have heard the saying, “Slow and steady wins the race” and while quilting is never a race, it is nice to finish a project that has been around for a while. 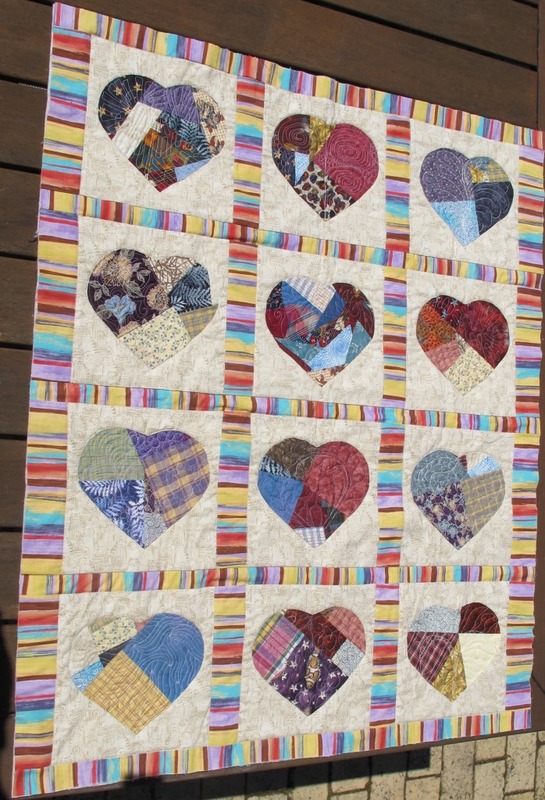 Now that I have finished the quilt, I have decided to name it, “Crazy Hearts”. 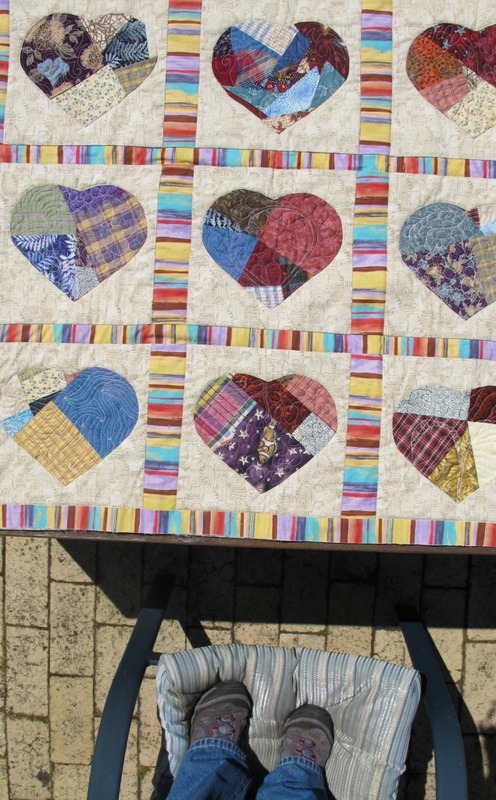 Back in February 2012, I began machine quilting my Crazy Hearts Quilt following the monthly contributions of well-known machine quilters. As the months passed, other projects with definite deadlines came and went and the Crazy Hearts disappeared deeper and deeper into the UFO pile. 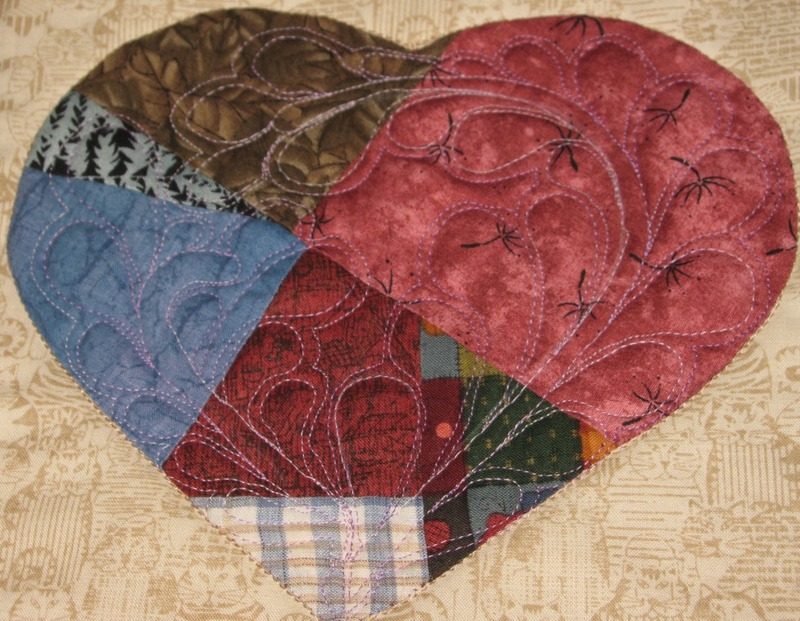 Last week, while looking for something else; I know you can identify with this activity…I ‘found’ my Crazy Hearts quilt. 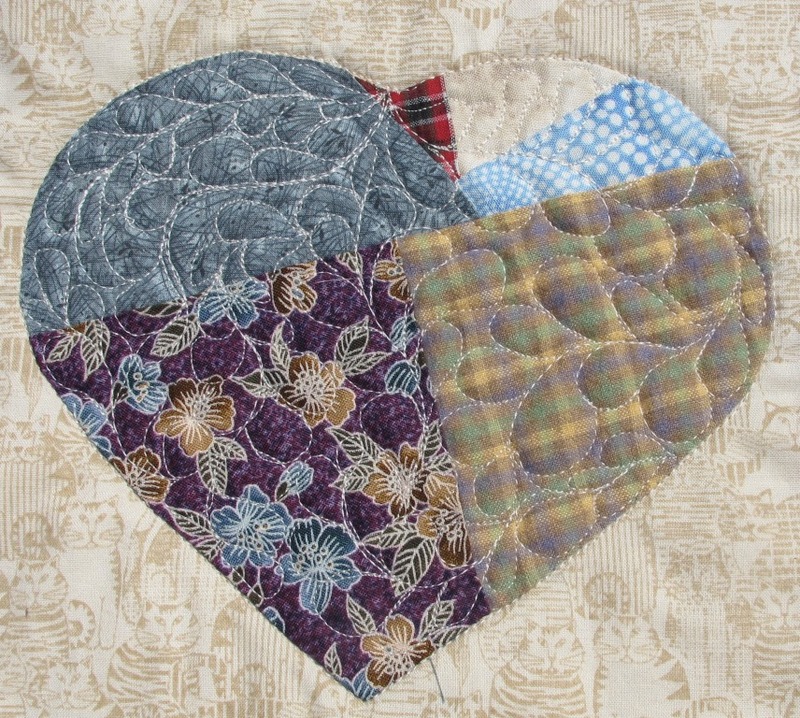 I threaded my machine with Aurifil Cotton Mako 50wt thread and quilted the remaining hearts. I am very pleased with the results and my confidence in machine quilting has increased since I first took on this project so many months ago. At least my quilting is improving faster than my photography. Have you put a project aside only to pick it up later and discover your skill level has improved? We would like to hear about your projects and I would appreciate some pointers on photographing quilts as well.